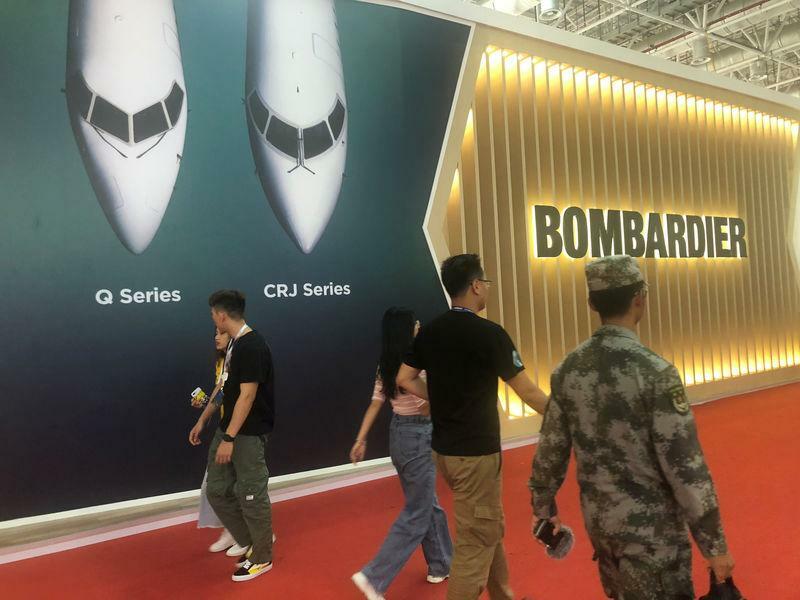 (Reuters) - Bombardier Inc (BBDb.TO) said on Thursday it would sell two businesses for around $900 million and cut 5,000 jobs and as it expands its stronger corporate jet and rail divisions, but the company's shares fell as much as 26 percent on a disappointing free cash flow forecast. The latest round of layoffs, which accounts for over 7 percent of its global workforce, will save Bombardier about $250 million by 2021, it said. About half the cuts, or 2,500 layoffs, were announced for the Canadian province of Quebec, the International Association of Machinists and Aerospace Workers said in a statement. In 2016, Quebec's government invested a billion dollars in the company's former CSeries jetliner program, before control of the plane passed to Europe's Airbus (AIR.PA) this year. Canada's Innovation Minister Navdeep Bains said in Ottawa he was "disappointed" by the job losses. His government announced C$372.5 million ($283.08 million) in repayable loans for two Bombardier jet programs last year. The company also said it was selling its Q400 turboprop program to a unit of Longview Aviation Capital for $300 million, confirming earlier reports, and its corporate aircraft training business to CAE Inc (CAE.TO) for $645 million. Earlier on Thursday, Bombardier forecast 2019 revenue would grow by 10 percent to $18 billion or more, driven by a pickup in deliveries of Global 7500 jets. Adjusted earnings per share of 4 cents beat estimates of 2 cents a share according to IBES data from Refinitiv. Bombardier shares closed down 24.45 percent at C$2.41 on Thursday, after hitting an intraday low of C$2.34.